Maeve McBride, an organizer for 350.org, explained that the protest was part of a global campaign of direct action and civil disobedience aiming to keep 80% of all fossil fuels in the ground. Pastor Mark Johnson of the St. John’s Church of God in Christ said, “I heard at a meeting last night that we have a constitutional right to clean water and clean air.” Maeve McBride explained that the action was part of a “new wave” that was drawing on a “new paradigm” – “using civil disobedience to protect the public trust,” which included water, air, and the climate itself. Organizers had met with officials from the police and sheriff’s offices and reported, “they abhor the trains – and are very supportive of us.” Then the group received direct action training. They read out loud the “action agreement” pledging nonviolent behavior and mutual support. Then they lined up to march and while police officers (played by the trainers) ordered them to move away, they scrambled onto an imaginary railroad track. Later that evening the steering committee for Albany Break Free planned outreach to supporting organizations, phone banks, canvassing, leafleting, and details of the action. Meanwhile, reports of Break Free actions from six continents began flowing in. In Wales, protestors shut down the UK’s largest open-pit coal mine for over twelve hours with no arrests. In the Philippines, 10,000 people marched and rallied demanding the cancellation of a 600-Megawatt coal power plant project. In New Zealand, protestors blockaded and shut down Christchurch, Dunedin, and Wellington branches of the ANZ bank, which had $13.5 billion invested in fossil fuels. In Indonesia, banner drops brought a coal terminal to a standstill for hours. In Germany, 4,000 people shut down a large lignite coal mine for more than two days. In Australia, 2000 people shut down the world’s largest coal port with a kayak flotilla and a railroad blockade. In Brazil, thousands participated in a protest against fracking during a concert at an annual rural fair. In Nigeria, demonstrations called attention to the environmental and social devastation that followed in the wake of exhausted oil wells. In Indonesia, 3000 held a “climate carnival” at the presidential palace demanding a move from coal to renewable energy. In South Africa, drought-affected farmers and communities from around the country came together for a “speak out and bread march.” In Ecuador, activists planted trees on the future site of an oil refinery to protest drilling in a national park. In Vancouver, Canada more than 800 people held a sit-in and a kayak swarm at the tanker terminal for the Kinder Morgan gas pipeline. In Turkey, community leaders led a mass action at a coal waste site calling for a halt to four fossil fuel plant projects planned for the area. In some cases, Break Free evoked what Martin Luther King, Jr. characterized in his “Letter from a Birmingham Jail” as “creative tension.” Some early Break Free statements in the state of Washington, for example, suggested that protestors might use direct action to shut down oil refineries. This was understandably alarming to workers in the highly-dangerous refineries. Break Free organizers and a retired union official initiated discussions with the local union that made clear that Break Free would not try to obstruct the plants or their workers and that took into consideration other safety concerns of the local union. Break Free had always advocated a “just transition,” but discussions with the local union helped them better understand what that means from the workers’ point of view. Break Free organizers say they came away committed to educating their constituency about the importance of fighting to protect and create family-wage jobs in the transition to a clean energy economy; protecting job security amidst declines in fossil fuel consumption; and minimizing job losses as the necessary action is taken to curtail dangerous climate change. As Dr. King wrote, “Nonviolent direct action seeks to create such a crisis and establish such creative tension that a community that has constantly refused to negotiate is forced to confront the issue.” While Break Free and the Steelworkers by no means see eye-to-eye, they have begun to negotiate, and are even discussing cooperation around upcoming local energy issues. As the sun set over the Hudson River the evening before the action, a kayak flotilla provided a perfect photo-op. That night hundreds from the Northeast gathered in a historic neighborhood black church for a meal, a rally, and civil disobedience training. They shared stories from struggles to block pipelines, fracking, and other fossil fuel projects around the region and celebrated the state’s refusal of permits for the Constitution pipeline after massive protests. As the crowd started to march toward the Port of Albany, 500 of the demonstrators peeled off to show their support for the people of the Ezra Prentice Homes, a 179-unit housing development described as “ground zero for environmental racism,” where “bomb trains” run next to the playground and the railroad parks its trains free of charge. But I want to talk about a different kind of lawbreaking. Fossil fuel companies, and the governments that authorize their activities, are destroying the land, water, and atmosphere that sustain us. From my home in Alaska to here in Albany, we are being sacrificed for the profit of fossil fuel companies. But these companies have a problem. Their problem is that we – all of us – have rights to that land, water, and atmosphere. We have rights under a legal principle called the public trust. The public trust concept is old law – it’s been around since ancient Rome. In American law, it means that the government has a duty to protect shared natural resources, and to hold them in trust for the public and for future generations. But our governments are violating this obligation by failing to regulate fossil fuel emissions. They violate this right by subsidizing fossil fuels, by approving new dirty energy projects, and by locking us into further, deadly emissions. The question – the critical question facing humanity at this moment – is what we are going to do about these violations of our rights. In the face of government’s failures, there is only one answer that leads to a livable future on this planet. And that answer is: what each of you is doing, right here, today. Standing up and taking action to break free and end the era of fossil fuels. Enforcing the public trust. Demanding that the government fulfill its obligations to the people, not bow to corporate power. It’s up to us to claim our right to a healthy climate, to stand up for the rights of future generations, and to stop the degradation of our planet and our communities and everything that we love. Thank you for doing that. More than 400 of the 1,500 people registered for the action said they would be willing to be arrested for physically blocking the trains. The company had canceled trains through Albany for the day because of the protest. But sixteen miles up the track in Guilderland, climate activists Marissa Shea and Maeve McBride suspended themselves from train tracks on a railroad bridge. At the risk of serious or even fatal accident they blockaded a “bomb train” carrying fracked crude oil from North Dakota. They and three members of their support team were arrested after successfully delaying the train. Shea and McBride described their efforts as enforcing the public trust doctrine which requires that vital natural resources, in this case the atmosphere, on which human well-being depends, must be cared for by our governments for the benefit of present and future generations. “The global climate system, on which every human depends, is no longer stable because our governments have utterly failed us. So now, for our survival, we will act on climate ourselves,” said Shea. The activists demand that the business as usual economy, which is currently reliant on fossil fuels, must be transformed into a new fossil-free economy that is just and equitable, a just transition. The call to Break Free from Fossil Fuels envisioned “tens of thousands of people around the world rising up” to take back control of their own destiny; “sitting down” to “block the business of government and industry that threaten our future”; conducting “peaceful defense of our right to clean energy.” That’s just what happened. Such a “rising up” amounts to a global nonviolent insurgency – a withdrawal of consent from those who claim the right to rule — manifested in a selective refusal to accept and obey their authority. 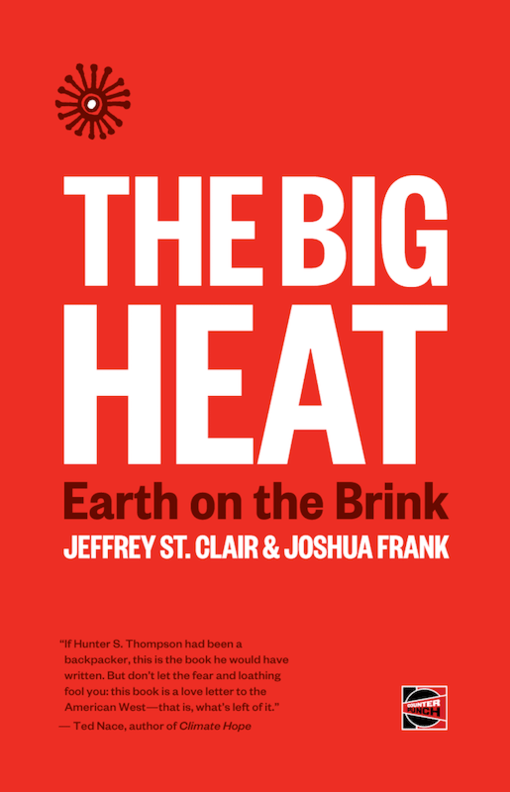 Break Free From Fossil Fuels represented a quantum leap in the emergence of a global nonviolent climate insurgency — its nonviolent “shot heard around the world.” It was globally coordinated, with common principles, strategy, planning, and messaging. It utilized nonviolent direct action not only as an individual moral witness, but also to express and mobilize the power of the people on which all government ultimately depends. It presented climate protection not only as a moral but as a legal right and duty, necessary to protect the Constitution and the earth’s essential resources on which we and our posterity depend. It represented an insurgency because it denied the right of the existing powers and principalities – be they corporate or governmental – to use the authority of law to justify their destruction of the earth’s climate. “Thousands Converged in Albany to Blockade Bomb Trains,” release, http://www.albany2016.org/wp-content/uploads/2016/05/May14PressRelease.pdf and personal observation. See Jeremy Brecher, Climate Insurgency: A Strategy for Survival,” Routledge, 2016. Jeremy Brecher is an historian and co-founder of the Labor Network for Sustainability. A new, post-Paris edition of his Climate Insurgency: A Strategy for Survival was published by Routledge.